Instagram Marketing can boost your business massively. By tapping into the power of Instagram, you can easily increase your brand’s exposure, gain leads and convert people into customers. But Instagram is only useful if the right Instagram Marketing Strategies are applied. Read this article to get an understanding of how to use Instagram to grow your business. Instagram is, as you should know at this point, one of the most popular social media platforms. It allows you to upload a photo or a video which will be available to millions of daily active users. There are several reasons for the particular attractiveness of Instagram for marketing purposes. Genuine users. It is not possible to post links in post captions which discourages spammers from posting their link everywhere. Because of that, Instagram encourages genuine users to engage in your content. These are the users you want to reach! User engagement. People on Instagram are more likely to engage in your post than elsewhere. With a compelling way to “like” a photo by two taps on a screen, an Instagrammer is more likely to engage in a brand’s Instagram post compared to a Facebook or Twitter post. You can easily see this for yourself: Compare your friend’s Instagram posts to their Facebook posts and see which one has more likes. In most cases, their photo on Instagram will have more likes than their post on Facebook. A study by Forrester, a market research company, discovered that Instagram drives 58 times more user engagement than Facebook and 120 times more than Twitter. It is obvious: Instagram is way superior in encouraging user engagement and it is the perfect opportunity for you to take advantage of that. Reach through visual appeal. The nature of Instagram calls for users to have an eye for visually appealing content. That is why many Instagram users crave to share what kind of food they are having for lunch, where they went for vacation, beautiful photography and so on. Companies are successfully using Instagram by posting visually appealing photos, humourful ads, eye-catching videos… In many cases, the actual content is not the key, but visual appeal. Posting visually pleasing images can give you millions of likes instantaneously. Drive brand awareness. An essential part of success. It is easy for users to get to your photo or page through a friend’s like page, the Explore page system, tagging system, and hashtags. Show brand transparency. Your photos can provide insight into the people behind your brand name. It allows users to connect with you instead of a faceless corporation. This will enhance trust and contribute to building strong customer relationships. Encourage personal engagement. Instagram has a unique commenting system in which you can tag someone to reply to them. It gives a more personal feel to your reply. You can also rely on strategies that utilize Call to Actions, which encourage users to take action and buy your product. We will dive deeper into these things in the following. Convert users into customers. Finally, this is what you want to grow your business. Posting remarkable content with a combination of “call to actions” that drive people to your site will make it more likely for them to convert into customers. Now, let’s keep these things in mind and develop a plan based on appropriate Instagram marketing strategies. Before tapping into the power Instagram, we need a plan. 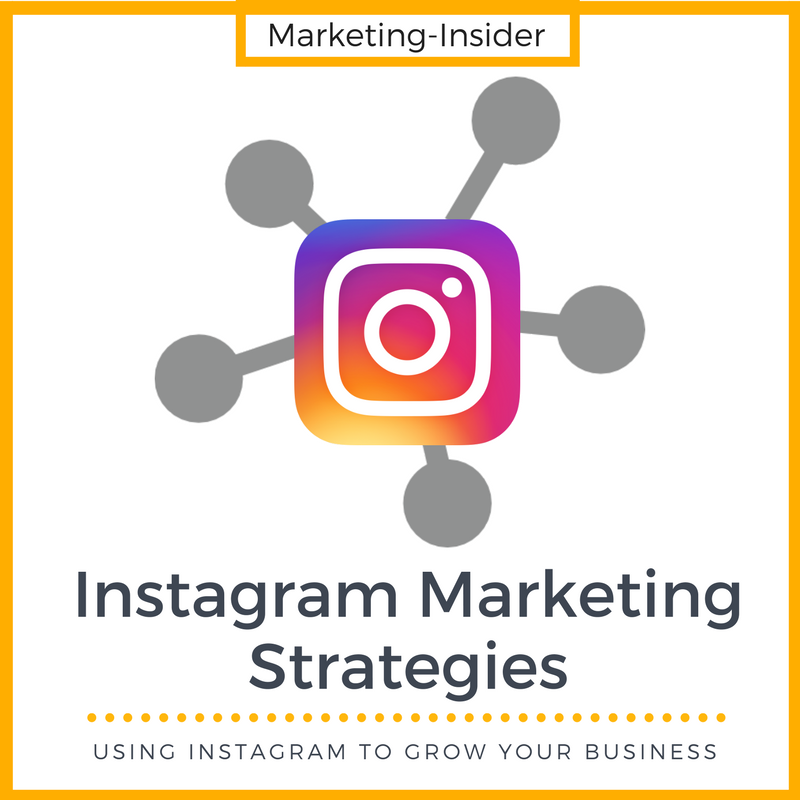 There are many different ways to approach Instagram, but sticking to these Instagram marketing strategies will definitely be a strong contribution to your firm’s growth. We will now dive into each of these pillars to develop Instagram marketing strategies that will boost your business more than ever before. Your content is what you upload and share with the world. If you are uncertain what type of content you should post, it may help to begin by going into the mind of your audience. Research them. Who do you want to reach? Who do you eventually want to turn into customers? Then, think about the type of things they would like to see coming from a brand like yours. Are you a clothing brand? It would be nice to push content that has to do with fashion or the latest trends. Are you a marketing consultant company? Uploading pictures of tips or marketing tricks would attract the type of audience you want. In other words, put yourself in the shoes of your target audience, then think about what they would want to see. Give them a reason to follow you to keep up with the content you are posting. An important thing to keep in mind when thinking about your content is to keep putting out valuable content. What you need to do is to give value to users. Then, give value. Next, give value, and finally give value. Only then, ask for business. What is the reasoning behind this? Well, in the eyes of the people, if you keep giving out valuable content for free, they will be inclined to follow you so they keep gaining value, or knowledge, or whatever you are posting. Then it will be hard to say “no” when you do ask for their business because of reciprocity: you have given so much value to them (although it has been a marginal cost to you) that they are more willing to pay for your product or service. In addition, you have already established that you know what you are talking about and that they do have something to gain from paying for your product or service. You do not have to pay a celebrity to put out content. The content itself is much more important. Using the right Instagram marketing strategies, anyone can become a viral sensation literally overnight. You just have to find the right content. In whatever content you create, always keep in mind that Instagram is a highly visual platform. So, put in effort to make your content look high quality and professional. In specific, this means using the best resolution size for your photo, using beautiful background images, using appealing font and branding your photos. Have an eye for beautiful design. Of course, this does not mean that you have to create the next Mona Lisa! Simply the use of the just mentioned points can result in something people will want to look at. If you need some inspiration, take a look at some of the biggest Instagram accounts of your industry to see what they are doing right. Then, create your own content. Software to create/edit photos: Canva.com, Photoshop, Pic-Lab. Delivery is about putting out content on a consistent schedule that will maximize your amount of exposure with each post. Building an expectation with your audience that you will repeatedly be uploading valuable content will keep them coming back for more. Using the right delivery strategy will allow you to attract more users and better retain the users you already have. How? Simply by increasing trust that you will keep providing value to them. How can delivery optimally be implemented in Instagram marketing strategies? The most important part of delivery is to have a consistent posting schedule which will maximize your exposure. To set up the optimal posting schedule, you have to look at the best time to post. For this, consider the following: There is a massive amount of content that is constantly bombarding everyone’s Instagram feeds every single moment of the day. Therefore, it is important to find a specific time slot that gets your content onto their feed at the right time. The best time to post on weekdays is usually in the morning (before everyone starts their day), afternoon (lunch break), and evening (everyone is winding down). The “prime-time” is often in the evening, because people want to unwind from the events of the day so they like to go on their Instagram feeds to see what is new. On weekends, it can get a little trickier. Most importantly, do never send a hailstorm of posts all at once. This can make your account look like an advertisement account instead of having a genuine touch. You may lose credibility instantaneously! An ideal amount of posts is between three and four times a day, all spaced out using your tailored posting schedule. Part of your delivery strategy should also be the use of appropriate hashtags. They make your content easier to find for people who do not follow you. Also, they group your photos together and lead to a more targeted audience. Before randomly selecting hashtags that you believe will increase the reach of your posts, think! Hashtags should relate to the value you are creating, the type of post and your firm and product. Start by figuring out the most important hashtags to your industry. Doing so will make you post look much better, as it is not filled with hashtags at a first glance. You can use up to 30 hashtags per post so make sure to take advantage of that to maximize reach. The last pillar of our Instagram marketing strategies is interaction. Now that you have valuable content with consistent delivery, you should be building an audience. The next step is to interact with your audience using call-to-actions. Call-to-actions are instructions that encourage user engagement. This can drive exposure through likes, comments, shares and tags, or even bigger things like encouragement to buy your product or signing up to your email list. Call-to-actions can come in many forms but for the purpose of Instagram, it is much simpler. Almost everything you post should give people the opportunity for engagement. The easiest way to do this is to use the actual photo as a call-to-action or to use your description as a place to put it. Be mindful of how your audience feels by how much you are asking. With the simpler things like those mentioned above, it may be okay to do it on almost every post. But with other things like asking them to buy your product or giving their email to you, you have to be very mindful of when and how often you are asking. The best way to use these bigger call-to-action tactics is to first build a relationship and trust then ask. As said above, give value, give value, give value, …, then ask for business. Most importantly, never force users to engage or do something. People should enjoy and want to double tap or tag their friend. To further drive user engagement, provide some support in the description box by giving one or two sentences that further explain the photo you posted. It gives more of a human feel behind the post which further builds trust. After your description, put a simple call-to-action. Putting it all together, these Instagram marketing strategies can boost your business – massively. If done right, you will quickly see enhancements to your brand awareness, brand transparency, size and activity of your customer base.